In the above photo you will see the keys that both allow me entry into my bedroom at my dorm along with the office in which I work at BU. This is, clearly, something that I would not like to lose. I kind of need to get into both of those places fairly regularly. Yet this is exactly what I did a few days ago. If I have proved anything over and over again in 2014 it is that I am, by and large, an idiot. In this truth many things are assured, one being that I will accidentally cause a situation to become much more complicated than it should be because my brain no work good. After going around Boston and shopping for gifts for my family, along with working a shift at the aforementioned office, I returned to my room. I didn’t need my keys for my room as it was already open. A few days later I poked my head into my backpack to see where my keys were. Normally I blindly shove my hand in and feel the lanyard. This was not the case. Instead I was left utterly keyless. I tore apart my room looking for the keys. Nothing. Sadness and frustration crept in. Of all the things to lose I happened to lose my flippin’ room keys. 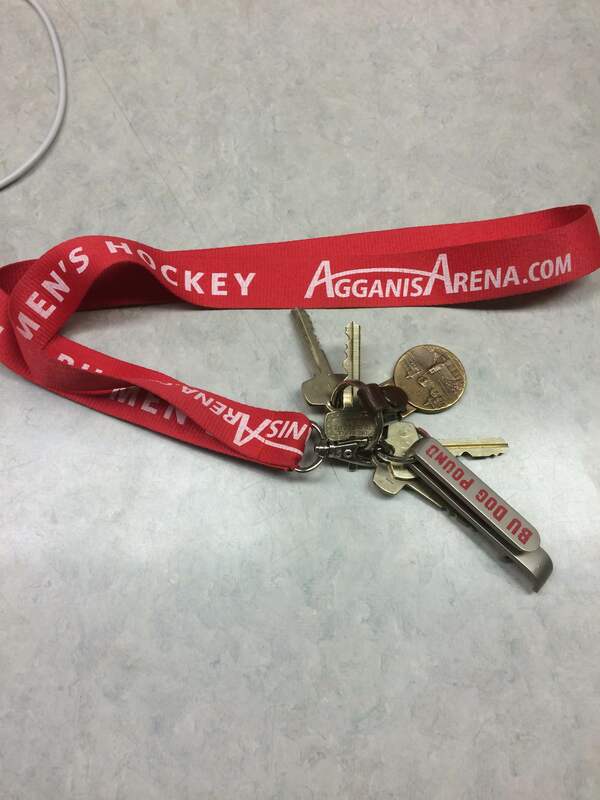 Plus, since I will be spending almost all of our upcoming winter break here in Boston, I desperately needed the work keys to open the office every day. I ventured down to our residence office in my building and told them I had, seemingly, lost my keys. They gave me the back up pair and ordered replacements. I called places I had been last week whilst Christmas shopping to see if they saw my keys. No luck. I figured that I was going to have to go through the whole rigamarole of replacing keys and/or locks. It was going to be a hassle. The important tense here is past. This is because last night I put on my normal winter coat for the first time in over a week. I put my hand into the pocket. My attempt to reheat my paws was interrupted. That’s because my keys were lodged in the pocket. I’m dead serious. Let’s recap: I had lost the keys and immediately looked around my room. I even enlisted the help of my roommate Pat McKay. Neither of us could find the keys because they were in the jacket I was wearing that day in my closet. If 2014 is going to be defined by anything, it will be my idiocy. I wish I could blame this on Finals, I really do. But I cannot. This is just what it’s like to be as dumb as I am. Silver Lining: Got them keys back.